Birmingham is known by some as the second city as it’s the second largest city in the United Kingdom. 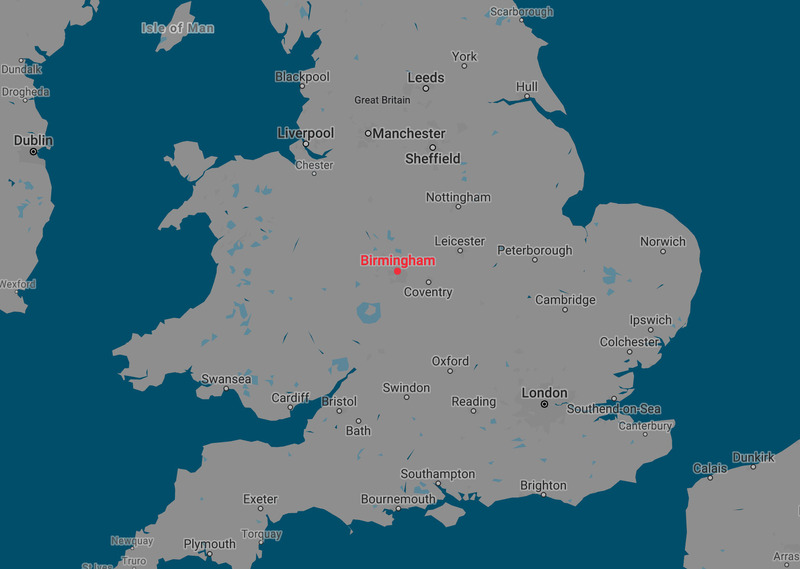 Situated in the West Midlands of England, Birmingham is just over 200km (125 mi) North West of London. Right near Birmingham Moor Street Station, these two separate indoor malls are joined by a series of sky bridges that cut through the nearby TK Maxx building to make one large indoor mall. The Bullring is named after the major commercial area of the city and is in a distinctive building. The connected Grand Central mall is just as large and is a distinct building of its own. Similar to the original markets which spawned the Bullring commercial region, the Rag Market is an area of fruit and vegetable stalls mixed with clothing and other general knickknacks in small booths. When compared to the upmarket style of the markets in York or some areas of London, you will understand where the name Rag Markets come from. While they certainly are not pretty, there are plentiful bargains here. What’s now known as the Custard Factory, is an area of creative and digital businesses in a set of very colourful buildings that was once the Bird’s Custard Factory from the 1840s. It now contains many small shops, offices, galleries, theatres and eateries. Under the statue of Queen Victoria, this public pedestrian square is surrounded by the Birmingham Town Hall, Council House and Chamberlain Square. the seat of the bishop of Birmingham, Saint Philips Cathedral, it is the third smallest in the UK. Compared to the Cathedral in York, it’s tiny, but still contains unique stained glass windows yet only a short 300-year history, including being damaged in World War II bombings. Aston Hall is a villa built in the early 1600s that has been converted into a museum. It is situated in Villa Park, which, for those with a knowledge of sports, specifically Football, is home to Aston Villa football team and their stadium, right next door. Unfortunately, the villa museum is not open on match days which just happened to be the day I stopped by for a visit. An attractive section of canals in the network that flows throughout Birmingham, similar to many other UK cities. The surrounding area contains bars, cafes and several attractions such as the National Seal Life Centre and Birmingham’s Legoland. While waiting for my entrance time of the National Sea Life Centre, I popped into the local IKON gallery to check out a couple of the exhibitions. The IKON gallery is a world acclaimed art gallery spread over three levels just off the Gas Street Basin area. While it is fairly small, the three exhibitions were an interesting change of pace in this fast paced city. The National Sea Life Centre is an aquarium in Central Birmingham showcasing over 2000 different sea animals from various places around the world, from the Antarctic, across many of the continents. The aquarium is entirely set inside in a four-story building that leads you through a series of displays climbing step by step to the top, before catching a lift, or stairs, into the basement where there is a tunnel through a larger pool. Amazing displays show all sorts of creatures, from sharks to sea horses, penguins to jellyfish. Cadbury World is an exhibition built beside the main Cadbury factory in Bournville which is a town originally built for the workers of the Cadbury factory. The Cadbury World exhibition is only one of two in the world, the other being in Dunedin, New Zealand. The 90-minute long attraction goes through the history of the Cadbury empire and documents many parts of the chocolate making process, including chocolate Easter egg manufacture. It is an interesting place to learn the history of chocolate and the region, and not just for the kids. On the outskirts of Greater Birmingham is the township of Dudley, and on a hill above it is the ruins of the Dudley castle. Dudley Castle was built in 1070 by a Norman knight not long after the Norman conquests. I travelled for an hour out to Dudley to investigate the castle only to find that it was part of a zoo with a steeper entrance fee than I had hoped. And, as it was late in the day and I likely wouldn’t have enough time to make the visit worth the entrance fee, I took a bad photo and caught a tram back to the Birmingham city centre. On my wanders around the city I noted many pieces of graffiti, but not until writing this did I discover there was an actual walk relating to a graffiti art. I would loved to have spent some time following this around the city as the few pieces I saw were amazing. Thinktank Museum – Birmingham’s Science Museum. Cannon Hill Park – The city’s most popular park spanning 250 acres. The Coffin Works – A museum in the process of making coffins. Birmingham is a large thriving city only indeed second in the UK to London. The central city has so much foot traffic most days it could be considered reminiscent of Brixton or Oxford Street. But it is still different to the larger London, in that it is less cosmopolitan. And, only two hours away by train, it is definitely worth a visit. Twenty-two miles north of Leeds, York is a city in Yorkshire founded by the Romans in 71 AD. Over the nearly two millennia since it was founded it has been known as Jorvik, Eburakon, Eoforwic, Everwic, Yerk, Yourke, Yarke and eventually simply York. After the Roman founding, it was overtaken by the Angles, captured by the Vikings, overrun by the Normans, ravaged by William the Conqueror, saw a peasant revolt, a Catholic uprising, and was besieged by Parliamentarians during the English civil war. In the last century, it was bombed by the Nazis and has been entirely overrun by rampant armies of tourists, who currently besiege the city, pillaging its wares on a daily basis. As the city was founded as a Roman fortress, a large rectangular wall was built around it covering about 50 acres. Much of these original walls still exist in the city today although over time parts have been destroyed or left to fall into disrepair, only to be repaired at various points in their history. The walls are an enjoyable way to walk around the edge of the central city, with walkways around the upper portions. A full circuit of the city centre atop the wall takes about an hour and gives good views of the city. During preparation to build the Yorkshire Museum, workmen uncovered the extensive remains of the 13th century St. Mary’s Abbey. Many parts of these ruins were incorporated into the design of the museum and are contained in various exhibits. The grounds of the museum are extensive, including gardens and other buildings beside the River Ouse. While the museum itself is small, the three floors showcase exhibits from the age of dinosaurs through history to modern times, with a major focus on the local area. The York Cathedral is one of the largest of its kind in Northern Europe. The cathedral was commissioned in 1220 and completed a short 252 years later in 1472. The entire building is 160m long and about 70m wide at its widest point. Inside the gothic architecture is beautiful with its open plan construction and a multitude of ancient stained glass windows. There are many areas inside the minister that are under restoration. The York Minister also has three towers, the central one some 72m tall. There is a challenge using the day to climb the 275 steps up the thin spiral staircases to the roof which has the best panoramic view out across York. While none of the Harry Potter movies was filmed in or around York, the city has still been taken over by Harry Potter Mania. There is a thin alley near the Shambles Market which has been compared to Diagon Alley from the movies. While I’m not a fan of the movies and have no idea what Diagon Alley is, the locals have taken advantage of the fever and there and many Harry Potter oriented shops in that particular alley. This one, for example, sells wands. The mound on which the castle is built was constructed by William the Conqueror in 1068, and the first wooden castle was built in the same year. But, by the following year, it had been burned to the ground by rebels and Vikings. The second wooden castle was completed soon after and lasted 100 years until 150 Jews hiding in it committed mass suicide by burning it down. It was rebuilt in stone in the mid 13th century by Henry III. The shell that remains now gives excellent views across York. The Holgate Windmill is one of the few working five sailed windmills remaining in the UK. It was built in 1770 and has gone through many repairs over the past 250 years. It was closed in 1933 after storm damage. Restoration began in 2003 anew and was completed in 2012 when for the first time in over 80 years it turned by wind power. York is considered the home of confectionary in the UK with the Rowntree company introducing to the world such offerings as Smarties, Kit-Kat and fruit pastels. Even George Cadbury, I don’t need to tell you which company he started, was trained at Rowntree’s in 1858. Rowntree’s is now owned by Nestle. 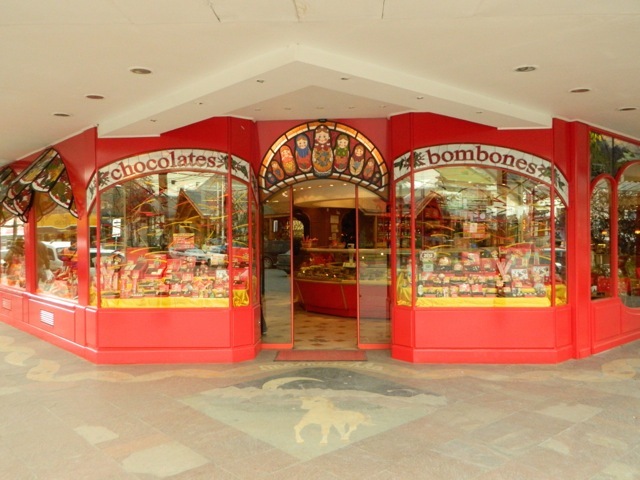 But it’s not just big chocolate companies in York, there are many boutique chocolate stores in the city and even York’s Chocolate Story, an interactive attraction which delves into, oddly enough, York’s Chocolate Story. In 1605 he was discovered about to ignite 36 barrels of gun powder under the Houses of Parliament in Westminster London in an attempt to ignite a Catholic uprising. He was hung 2 months later, then drawn and quartered. I mention this because Guy Fawkes was born and educated in York. York is a very busy city even in March, which is considered the low season. I’m told that in summer it’s almost impossible to move in some of the inner city streets for the tourists. In my opinion, it has a similar vibe to Prague in the Czech Republic based on the cobbled tight streets, the number of pubs and the sheer amount of tourists. There were many places to see, and I enjoyed learning about the popular destination in Northern England. 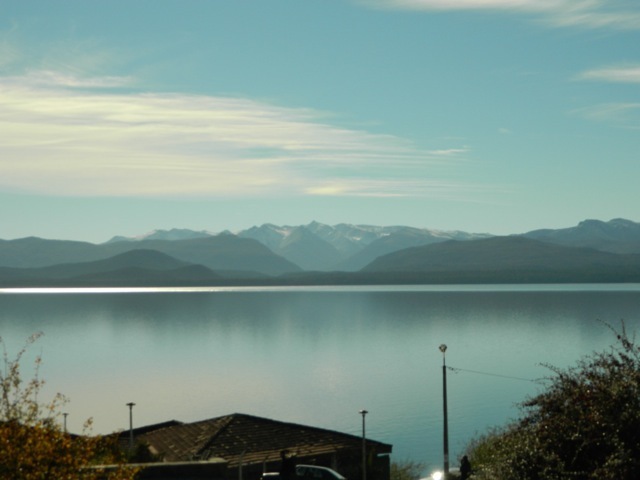 Nestled in the foothills of the Andes and alongside Lago Nahuel Huapi is San Carlos de Bariloche. 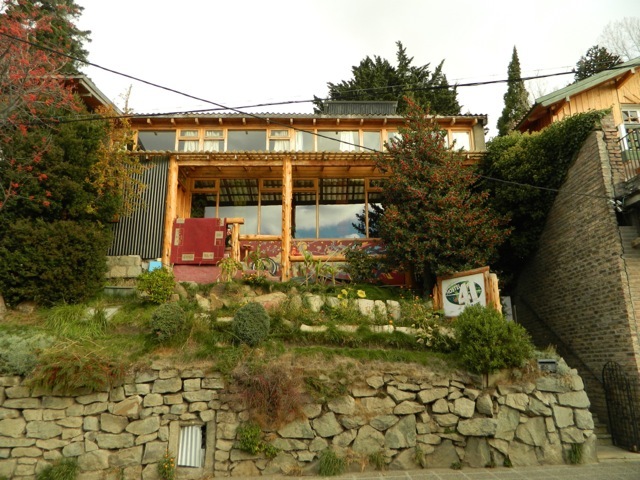 While there were no direct buses from Pucón in Chile, I took a bus for 4 hours across the Andes and south to the city of San Martin de los Andes. There I waited for several hours before catching another 4-hour bus south to Bariloche. Somehow I’d messed up my booking at the hostel and there was no room for me when I arrived. But they were kindly able to arrange a room in an empty hostel nearby for the night. I returned the following night when my booking was actually due to start. While Bariloche is set up for hiking, mountaineering and skiing, there’s more to the city than just the standard Patagonian wonders. With a heavy Swiss influence, Bariloche has become famous for its chocolate with more than a dozen boutique chocolate vendors in the city. The mountains near Bariloche have plentiful hikes, but as it was nearing winter many of the longer trails were closed. I chose a couple of shorter hikes to work in with a two-week spanish course I’d booked, to revise what I’d learned and to help with my confidence. Booking the course was easy, the hostel manager rang for me and that afternoon I went down to meet to the director of the spanish school, took a placement test and sat in on a spanish cooking lesson. Beyond the lessons there were additional means to practice the language such as the cooking class, a city tour and going out for drinks. My hostel was 41 Below and was owned by a kiwi guy, although he’d retired from running it. There I met a lively bunch of people and enjoyed several dinners and nights out with them – just not so much on school nights! 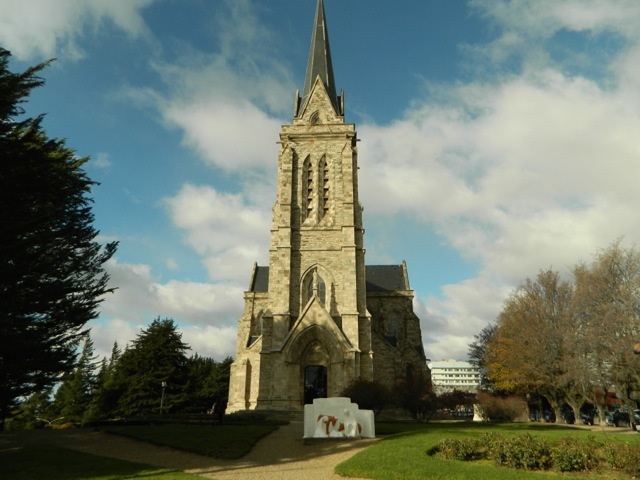 Because of the Swiss influence in the area, the city’s architecture has a European feel, especially the cathedral – which was actually built in 1946 to resemble the buildings of Europe a thousand years earlier. I climbed Cerro López to Refugio López on a day walk. After returning from my foray in El Bolsón, I headed north out of Patagonia to the wine region and the city of Mendoza.